Established in 2005, Davies Systems is an outsourcing firm that operates a main call center and business outsourcing facility in Chennai City, India. 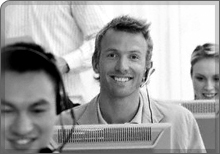 We employ educated call center operators with experience in telemarketing, customer service, surveys and BPO. 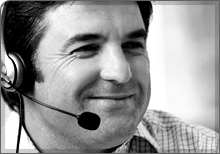 Davies Systems is a trusted outsourcing partner to companies in the US, UK, Canada, Europe and Australia. BPO Our India business process outsourcing unit is the fastest growing part of our business and we are saving companies in the US, UK, Canada, Europe and Australia on all of their back office operations. We offer data-entry services and more classic and customized back-office functions. Let us know what you need and we will provide. Virtual Assistant Davies Systems began its business as a unique provider of top quality Indian virtual assistants to companies in the US and UK. Your virtual assistant can make everyone in your office more efficient by taking care of the important, yet time consuming tasks that businesses are faced with. We have staff that can help you with telemarketing to potential customers as well as provide chat support and email requests for existing customers.